Last week I received a couple of emails from authors asking for updates to their websites. Nothing out of the ordinary for my line of work. Except that I suddenly realised that these two authors were in fact the very first authors I ever worked with, many years ago. I am proud to still be working with them and that we have built such a strong working relationship. On the same day I read an article on the modern publishing industry and how creating good books is no longer about simply deciding on a publishing route and waiting for sales. In today’s marketplace there is a much bigger demand on authors, regardless of which path you choose. From design and social media to publicity and marketing; there are far more areas of expertise that a successful author will need to investigate in order to reach their target audience and make a success of their work. Surrounding yourself with a strong team from the outset and not attempting to do everything yourself can be the key to success. Whether due to time, lack of knowledge or financial constraints, authors are attempting to do what many professionals spend years training for. Book cover design, editing, publicity and marketing are all specialist areas. There is a cost to finding experts in these fields, however you will find that by surrounding yourself with a strong team will certainly make your life a lot easier, enabling you time to do what you do best and write. Remember that each individual expert you hire will be joining together to achieve one common goal: creating awareness of your book and ensuring it’s the best it can be. And it is this that ultimately means more sales and more readers. Remember that you are primarily an author, and unless you have a background in these areas, it can pay off in the long term to invest in some help. Once you have established these readers, it makes future work much easier to offer to market. It can sometimes be a little trial and error in finding the right team. I work with many repeat authors, as well as working on many different projects with authors I’ve worked with in the past, and I’m proud to say that they would recommend me. I’ve also worked repeatedly with others in the book industry whom my authors praise highly. So that may be the best place to start – talk to other authors, or members of your existing team and ask if they have recommendations in the area you are researching. One thing I have learnt from being in the publishing industry for some years is that it’s not always the big companies that have the best reputations, but the smaller businesses and freelancers, so be sure to do your research. 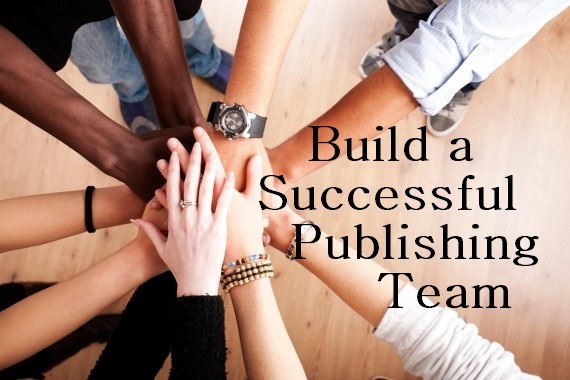 Successful book publishing is about investing confidently in your work and building momentum. No reader will have the confidence that your work is good enough to read if you don’t. Building a successful relationship with experts will mean you have a group of professionals in your corner, furthering the connection between you as an author, and your readers.